 The mission of The Hunger Coalition is to build a healthy community through access to good food and address the root causes of food insecurity in collaboration with key partners. The Hunger Coalition is very concerned that the Trump Administration has proposed substantial changes to longstanding “public charge” rules which would be harmful to many people we serve and detrimental to the overall health of our community. When documented immigrants living in the United States apply for Permanent Resident Status (commonly known as Green Card status), the immigration authorities have traditionally inquired whether the applicant might become primarily dependent on cash welfare payments (such as TANF) in deciding whether to grant the requested Green Card. This limited inquiry as to whether the person applying might become a “public charge” affected relatively few immigrants. The Department of Homeland Security last month proposed new rules to expand greatly the types of government assistance which may be considered when making decisions on Green Card applications. Under the new proposed rules, a family’s receipt of SNAP benefits (formerly Food Stamps), Medicaid, Housing subsidies and the like (but not WIC, Headstart, EITC, or energy assistance benefits) may be used to deny Green Card status. One in four children in our country have an immigrant parent. If these rules go into effect, imagine the dilemma faced by a documented immigrant parent who temporarily cannot afford to provide enough good food for their children (many of whom are U.S. citizens). If they don’t take advantage of available SNAP benefits, their children could suffer all sorts of harm from weakened physical health to poor academic achievement. However, if the parents do receive these food assistance benefits for which they are legally eligible, that decision could be used to deny them Green Card status and risk separating them from their children. By the same token, consider the cruel choice that is forced upon such parents when their children become ill. If they are legally eligible for Medicaid, their child can receive needed health care services – but if they do so, when the parent applies for Green Card status, that decision to seek care can be used to deny them permanent resident status. The Hunger Coalition believes these new proposed rules violate basic American values of fundamental fairness and equity and must be strenuously opposed. The law abiding members of our community who would be adversely affected by these terrible choices deserve better than this — and we as a people are better than that. 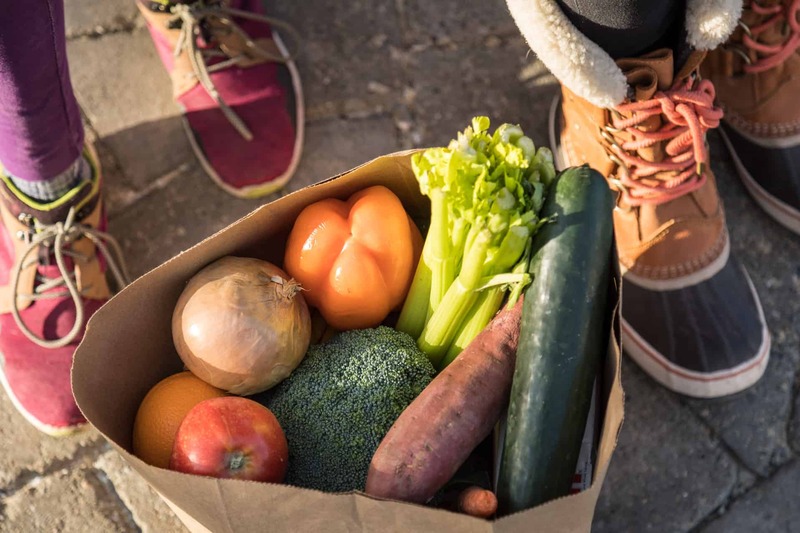 If these rules go into effect and eligible members of our community choose to forego their right to food assistance benefits, we at The Hunger Coalition will do our very best to make sure that every family in Blaine County nevertheless has good food to put on their dinner table. However, despite the extraordinary generosity of those who support our work, the potential loss of SNAP benefits to our neighbors could do serious harm to the overall health of our community. If the families of documented immigrants deny themselves access to good food or healthcare services to which they are legally entitled due to the awful dilemma posed by these new rules, our community as a whole will suffer. We all know that sometimes some of us suffer misfortunes that require us to take temporary advantage of government assistance programs while we get back on our feet. Were it not for these programs, the effect of an illness or car accident or job layoff could turn from a temporary setback into lasting damage not just to the affected individual families but also to the fabric of our community. This is just as true of documented immigrants as it is of citizens. Put bluntly, it would be tragic for all of us if the health, safety, and educational achievement of children with immigrant parents were compromised due to the cruel effect of these proposed regulations. Even though the rules have not yet taken effect (and probably won’t until next year at the earliest), there are already national media reports that some documented immigrant families are dropping out of SNAP, Medicaid, and even school lunch programs for fear that they would otherwise not be able to obtain Green Card status in the future. Additionally, it is widely feared that existing Green Card holders, who are not affected by the proposed regulation, are dropping out of these programs because of confusion caused by the draft’s extreme complexity. While we have no definite statistical evidence of this kind of disenrollment in Blaine County yet, there is no reason to suppose that immigrant families in our community will be spared similar needless damage. If you would like to go on record as opposed to these cruel and shortsighted rules, you can submit a comment to the Department of Homeland Security electronically on or before December 10, 2018 through the following website: http://www.frac.org/publiccharge. You could also email your statement of opposition to U.S. Representative Mike Simpson (simpson.house.gov) and our two Idaho Senators. Finally, just as importantly, spread the word among your friends and neighbors about the danger these new rules pose to the health of our community. The more public advocacy there is opposing their adoption, the better chance there will be of having the rules withdrawn or significantly modified.